The ICBA, or the Institute of Certified Bookkeepers and Accountants. They used to be part of the ICB itself but split in 2015 when academic guidelines and laws changed. Where the ICB now only focuses on education and training, the ICBA focuses on professional memberships for people that studied with the ICB. The ICBA represent a way to get professional recognition for your studies and your work experience. What is the aim of the ICBA? The ICBA works at improving the image, training and professionalism of their field. 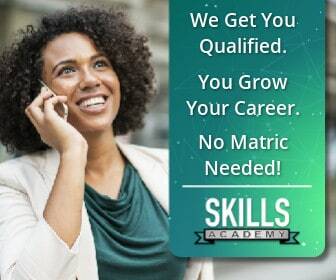 Their field being people working in Finance, Accounting, Bookkeeping and Office Administration. The ICBA certify qualifications and awards designations. That means that they evaluate your qualifications and work experience and based on that they give you a certain level of membership. With the membership you get to use certain designation letters behind your name. To apply for membership of the ICBA, you need to start studying one of the ICB courses. Your first step is to register with an accredited course provider. Skills Academy is an example of a training provider that is fully accredited by the ICB and FASSET to offer these courses. They do not offer training. However, it recognises appropriate education and training providers and contributes to the curriculums of learning programmes offered by these providers. So when you study one of the ICB courses, then you know that each course is recognised by the ICBA towards an ICBA membership. How do I Apply for ICBA Membership? Apply for student membership by filling in the Student Membership Application Form. Pay the yearly fee for Student Membership. If you are registered as a student with the ICB, then you qualify for a discount on your student membership fees. If you are properly qualified, and you have the required amount of work experience, then you can apply for full membership with the ICBA. Your membership level will depend on your qualifications, as well as your work experience. Submit your membership application documents, together with membership fees, as well as supporting documents if requested. If decide to still study further towards an ICB qualification then you qualify for a discount on your membership fees. The best time to apply is before the start of the new year. Your membership fees are for a calendar year. Getting an ICBA membership is just one of the perks of studying an ICB course. Register today to start working towards your qualification and membership.